Between Miss Heidi and I, we’ve been searching all over for more news on this one. Earlier today, Extra had a new story up on Chaz Bono in talks to do Dancing With The Stars, but, a short time later pulled the story. We’re not sure what’s up, but, we’re thinking they found out the rumor wasn’t true and that Chaz might not be in talks or considering to dance after all? As you know, Chaz is the only child to Cher and Sonny Bono and a recent transgender and a popular transgender advocate. Another name that came up in some random twitter chat today is Bobby Flay. Bobby is a celebrity chef who has hosted seven Food Network television programs and appeared regularly on an eighth. Time will soon tell if something is up with either of these two. So, what do you think? Are you open to Chaz or Bobby dancing? I have never heard of Bobby until today so, I’m not sure how I feel on it? As for Chaz, I have no issues. I think he’d have a strong message to get out there and a great one at that. If he decides to do it, I say go for it!! Special thanks to Heidi for her help with this post!!!!! 42 responses to "DWTS Season 13 Rumor or Just Innuendo? Chaz Bono and Bobby Flay"
I think either would be great. Chaz would be, for me, the heart-string-tugging story of the season. He’s been through a lot and finally in a place where he’s happy. Like Vogue said, I think it sends a powerful message. As for Bobby, I love him! He’s a great personality, lots of fun and is a hoot! I think he’d be great. Hopefully, one or both of these will turn out to be true. If not, add them to the ever-growing list of disappointing rumors for lucky 13! I’d love to see him on the show. LOL Ck. I need to check him out!!! Magnolia, exactly. Did any of you see Chaz on Piers Morgan? He’s all the things Magnolia described and then some. Who would they put him with though? Mark? Chaz is transgender and identifies as Male, therefore I think they would put him with a female pro – I don’t think there is any question about that. Or there shouldn’t be. Unfortunately, Tracy, the twitter chatter about her is campaigning and not rumors or innuendo – huge difference. If you’ve seen something that is a rumor and not someone campaigning to get her on the show, let us know and we’ll report it. Bono- I don’t think so but for the sake ok the rumor, Louie or Cheryl or Karina. Bobby- Would be interesting but again not leaning toward him doing the show. Bounty Hunter- plez they want to put her with Maks and he just had a BIG OLDER LADIE if you know what I mean, would hardly be fair to Maks! ANYWAY those are NOT A or B listers and didn’t DWTS say they were out to get above the “C’s” this go round??? YES THEY DID! Bobby – Peta M! I would say Chelsea but I don’t think he can dance well and I want Chelsea to win the MBT soon. I think Peta M would be a great addition to DWTS, not against her just think I would get to see her as a pro for a little while at least if she was Bobby’s pro for the season. Um, Maks’ “big older lady” got him to second place and loads of new followers – I doubt very much he feels dissed by the producers. Yes to both!!!! I saw the thing Chazz had on OWN and he seems like a great likeable person! Pair him with Cheryl I think. As for Bobby, about time! If any chef should do the show it should be him! When Rocco did the show I remember thinking that many people had no cluewho he was. I think everyone knows who Bobby is so thats not even going to be an issue. I would pair him with Karina since after Ralph I want to see her with a good partner every season (I think Bobby would be a good contestant since he has a huge personality, has quite a fan base, and has a great work ethic). @Voguerista: I would reccomnd watching bobby on iron chef america and throwdown with bobby flay (the latter is my fav show on food network). They showcase his positive qualities very well but I have to forwarn you if you watch Iron Chef its an hour or a lot of closeups of food as its cooking/boiling/frying/etc. I guess I will check out Bobby Flay on the Food network, I dont know who he is. I do recall another female chef that was mentioned as a possibility as well. I can remember her name though. Maybe I can catch them both. I guess Im in the minority but I am tired of hearing about Chaz. I saw something today that said Chaz enjoys shaving. Okay then. Its just overkill. I have no qualms about anyones transgender, or sexuality of anything like that. As long as people are happy who are we to judge. I am just tired of hearing every detail about him. Now if we could get his mother Cher on the show, that would be awesome. And a big NO to Beth Chapman, Just NO!! @LePrimm: Beth Chapman is a rumor for this seasons cast? I think one reality star is enough (unless Snooki ever becomes interested than def bring that on) and she would be good for season 14. I would LOVE to see that but paired with Mark. As much as it would be amusing to see ehr argue with Maks, I’d rather see Mark get screamed at instead 🙂 . I love Dog the Bounty Hunter and have seen every episode and she has been losing weight like crazy as well. If not Beth for the show than Leland Chapman or Baby Lysa for season 14. AHHHHHHHHHHHHHH! 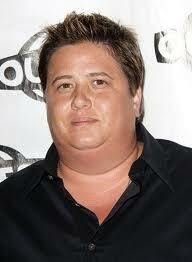 NOT CHAZ BONO! I will not watch that freakshow if my life depended on it he/she kreeps me out and anywoh who would they pair IT with a man or woman. Eww! Btw, Im not trying to offend anybody he just kreeps me out is all casnt help that 🙂 Please no onw take offense because none is intended! I understand that you don’t mean to offend, Zach, and I understand as well that he may creep you out, but please, don’t call him “IT”. That’s really not cool at all. That offends me. I do regret calling him IT. That was an initial reaction that I later thought better of so I apoligize. I think Chaz would be an interesting personality on the show. I just googled his height and he appears to be 5’1″. That’s the only number I could find so I don’t know if that’s the truth or not. I think he would be cool with Kym because she is so nurturing, mature, and calm. I think Bobby would be boring for some reason. Giada would be great! Zach, thanks for apologizing and you know I like you…but, you offended me too because I don’t feel any human being is an “it”. Your first comments are exactly why I’d like to see him do the show and bring his message to it. I mean…aren’t we ALL different in some way and how can we help what genders or sexual preferences we have anymore than what color of hair we have, etc? Elmari, good idea with a Kym pairing! @Vogue – I initially was a NO as well for Chaz, just because I am tired of constantly hearing every movement from him, but that goes for other celebs as well, part of the business, I guess. But you did enlighten me of the REAL beauty of this show that sometimes we forget. Watching a journey…..Thanks for bringing me back to the reason I love this show so much!!! And I do know what you mean when we hear too much from some celebrites. Zach, perhaps you could keep the posts that you KNOW will be offensive to someone to yourself. Chaz is male and self identifies as male – I have to ask if you would call someone of mixed race “it”? Very offensive, regardless. And it’s “creeps”, not kreeps. If you’re going to be disgustingly offensive the least you could do is get the spelling right. I can’t imagine how Bobby Flay would have time to do the show. He owns 10 restaurants from Vegas to NYC and the Bahamas and has several shows on the Foodnetwork and he’s the most intimidating of all Iron Chefs.Remember Mark Dacascos? He’s the chairman of that show.He also makes regular appearance on one of the morning shows, maybe GMA? Did you know he’s married to Stephanie March from Law and Order? Well, let’s do an all chefs show. Giada, etc. … Then, an all singers .. all comics … a;; athletes … all REALITY stars …Theme seasons. I can’t really get fired up about either Chaz or Bobby… as Magnolia put it, I can see a compelling back-story with Chaz, and it wouldn’t hurt ratings if his Mom was in the audience cheering him on, but… I just keep thinking “meh”. That is great to hear Zach, thanks! I hope you mean what you wrote above because if you didn’t and it happens again, I think Heidi is very close to the banning button and she will have our full support. Also, I hope you will think about and take what you said above to your life off the Internet as well. I mean…the one who really deserves the apology here is Chaz and others you might feel the same about. Sure, there are people we don’t agree with and who’s actions we may not like, etc…but, hatred and intolerance for things people can’t help (skin color, gender and sexual preferences, etc) is a whole other matter. @Zach – This is a lesson to learn for all of us at times. We have all at times stated something that we later regretted and wished we could change. Thanks for your apology and for reminding us all that at times we all make some mistakes, but we are able to correct them, learn something from them and take it with us as we move on…. for the better. I love to see Bobby Flay dance! Great chef! 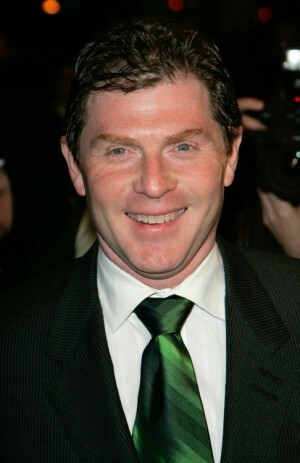 I’d be THRILLED to see Bobby Flay on the show, so I hope that rumor is TRUE! I’ve watched him on the Food Network for years! He has a wonderful sense of humor, and I’ve seen him scooting around the Iron Chef America kitchen … so he CAN MOVE! But as one of the other posters noted, he’s a really busy guy … restauranteur with multiple establishments, prolific cookbook author (he has 11 currently available on Amazon.com), and he’s EVERYWHERE on the Food Network channel! I’ve lost count of the number of shows he either stars on or hosts! But the guy always seems to have tons of energy! I think he’d be fabulous on the DWTS!!! Love to see him participate!!! Thank you guys for your support I promise I DID really mean I everything I said, I mean who am I to judge? Thank you, Vogue, Sandy, and Heidi for your comments I will take them to heart AND use them. I would truely apprectiate If that post could be removed if at all possible. Isn’t Chaz pretty overweight and out of shape? He was the last time I saw him on Larry King. Unless he intends to do a Kirstie Alley and take the opportunity to get in shape, it’ll be difficult for him to go far on DWTS. I hate to comment on this again but I just hope everything is ok between us, Heidi. Those people who come on this site and spread a bunch of crap and tick poeple off just disgust me and when I thought I was one of them with my previous comments it made me feel really bad I just hope you and and the other bloggers and posters can forgive me. I apoligize to anyone I offended and people like Chaz who have had struggles similar to his of which I offended/or hurt. We’re fine, Zach – but think before you post. That post you’re referring to was very offensive and I don’t want to see anything like it again. If you had not been a regular here, I would have hit delete and probably banned you immediately. But you get some slack for usually playing like a good boy. Watch your step from here on out. Well rumor or not I think Beth Chapman would be great. I think ABC should be giving her some consideration. Would consider watching the show if they got her on.